The Lady Southern Cross being refueled on Naselai Beach, Fiji. This photo was probably taken on 24 October 1934 after the aircraft had been ferried across from Albert Park in Suva. 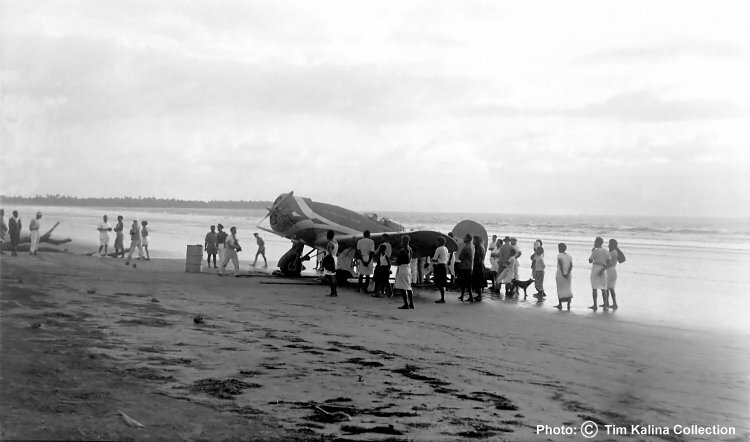 Note that the aeroplane is on planks to prevent it from sinking into the sand.